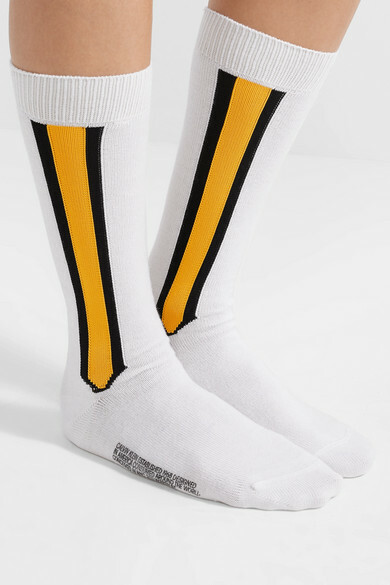 If you're not quite ready to dive head first into CALVIN KLEIN 205W39NYC's marching band-inspired pieces, these sporty socks are the perfect introduction. They're spun from warm stretch-wool blend and knitted with graphic yellow and black stripes along the sides. 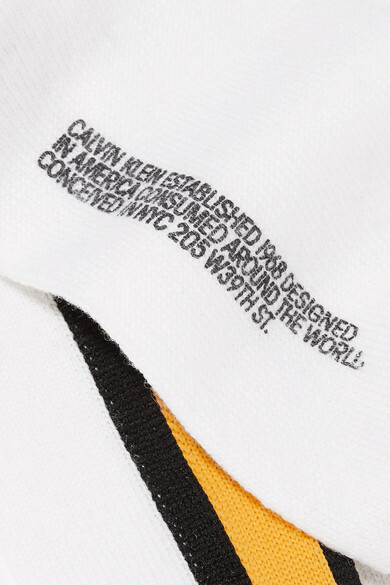 The sole is printed with the label's logo and history so you can rep the brand when your shoes are off. 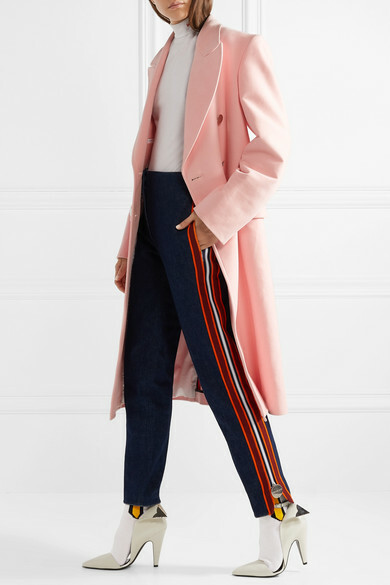 Shown here with: CALVIN KLEIN 205W39NYC Coat, CALVIN KLEIN 205W39NYC Jeans, CALVIN KLEIN 205W39NYC Bodysuit, CALVIN KLEIN 205W39NYC Pumps.